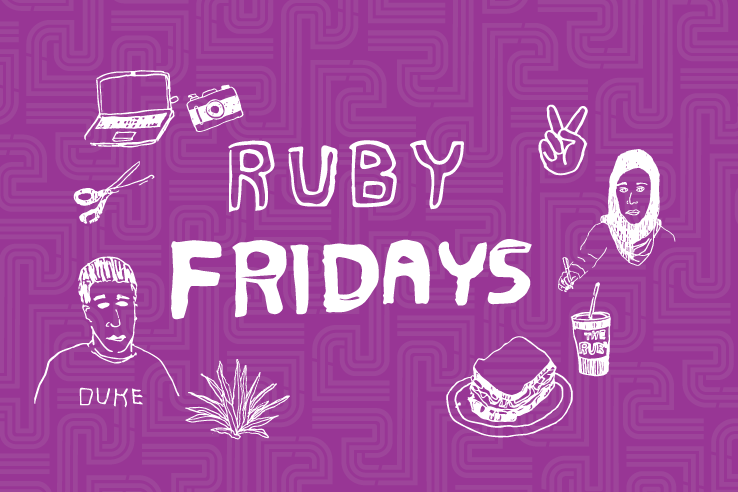 RUBY FRIDAYS is a new series of casual art talks at the Rubenstein Arts Center, free lunch included! Speakers include Duke faculty and students who have produced work during a Rubenstein Arts Center arts project residency, as well as visiting artists and local NC creatives. Learn about the behind-the-scenes aspect of the creative process, careers in the arts, and more. Clark Whittington is the Winston-Salem-based artist and entrepreneur responsible for the Art-o-mat® vending machine in the Ruby. His machines are stationed in galleries, pubs, coffee shops, tattoo parlors, libraries, and other establishments from coast to coast, vending original artwork in cigarette-pack-sized packages for $5 a pop. It all started with a cigarette machine Whittington repurposed for a month-long solo art show in the summer of 1997. Join him for lunch to get the whole story.